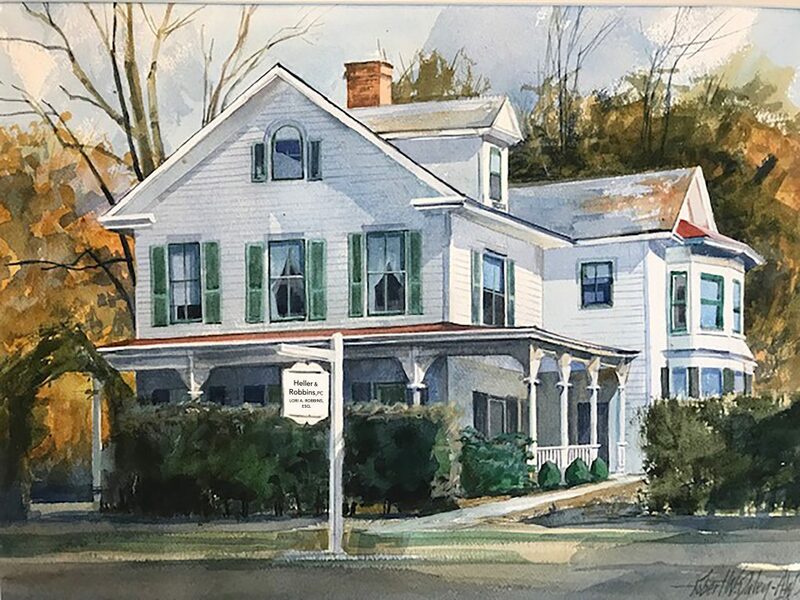 In 1984, local attorneys and friends, Philip F. Heller and Fredric D. Rutberg, joined forces and formed the law firm of Rutberg & Heller, located in Lenox, Massachusetts. Each each brought many years of legal expertise to the practice and their new endeavor soon became well-renowned in the community for their commitment to excellent and attentive representation of their clients. The firm’s depth of knowledge in the areas of real estate law, zoning, land use and development was well-known and led to the firm’s representation of many land developers, both local and international. Such representation, however, was always tempered with finding the right balance between preserving the Berkshire way of life and fostering healthy, necessary growth in the community to maintain its vitality into the future. Attorney Lori A. Robbins, a new arrival to Berkshire County, joined the firm of Rutberg & Heller in the summer of 1986 as an associate. Attorney Rutberg left the practice in 1994 to serve as a Massachusetts District Court judge. Then, in 2008 Philip F. Heller and Lori A. Robbins formed the Heller & Robbins partnership, which continued until Phil’s death in the spring of 2018, and the law firm of Heller & Robbins PC was formed thereafter by Attorney Robbins. Regardless of the name on the sign, the one constant throughout the years has been the firm’s commitment to providing exemplary service and attention to detail to their clients in order to ensure a successful outcome. The firm, and by extension its clients, have always benefitted from working with a skilled, detail-oriented and knowledgeable team of paralegals and support staff. Heller & Robbins PC offers superb legal representation in the areas of residential and commercial real estate, zoning, special permits, variances and land use, commercial and residential leasing, business entity formation, and estate planning and administration.